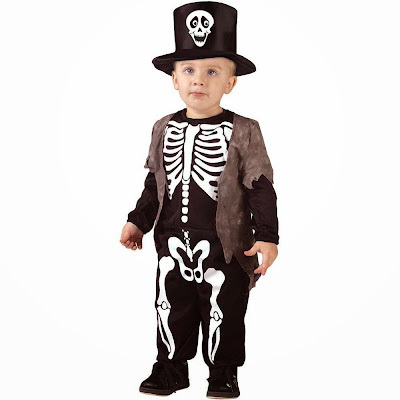 This skeleton costume for toddler boys consists of an easy-to-pull-on jumpsuit and a hat. 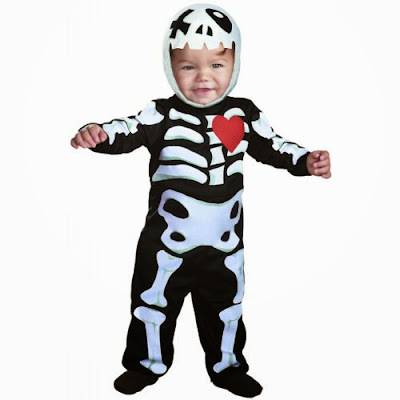 The skeleton costume for toddler girls is a bit more involved: it comes with the dress, tights, hair bow and glovelets. 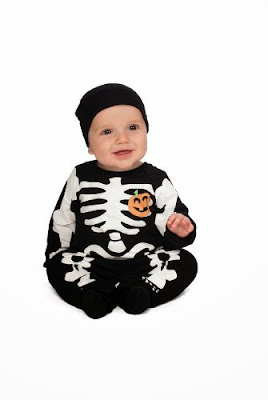 For infants, here's the Baby Bones costume - basically an outfit with attached hood. 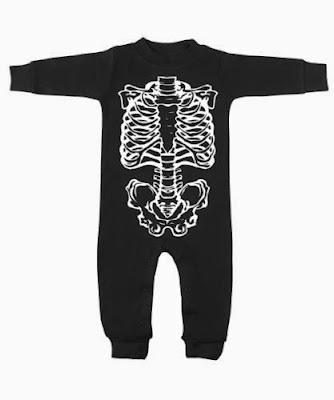 This is Rubies' version of the skeleton romper for babies. This is just a basic toddler skeleton costume enhanced by really cool makeup. I'm not sure how many of us could actually get a toddler to sit still long enough to put something this intricate on their face! 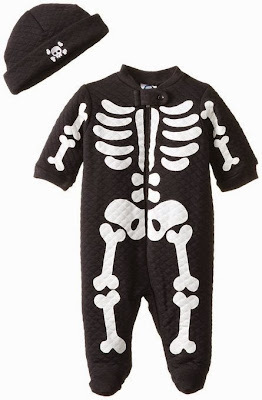 This skeleton Sleep 'n Play costume is by Gerber. It comes with the cute little hat. 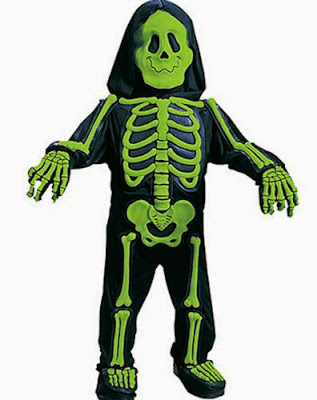 For something a little different, here's a green Skelebones costume for toddlers. 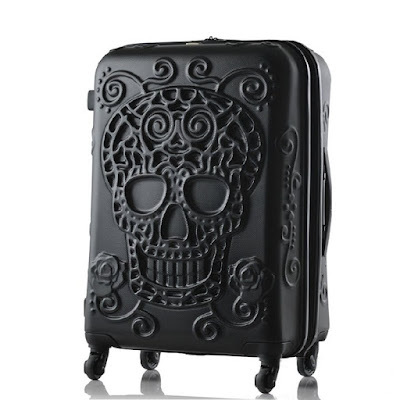 It comes with boot covers. This Baby XO costume is only $8! 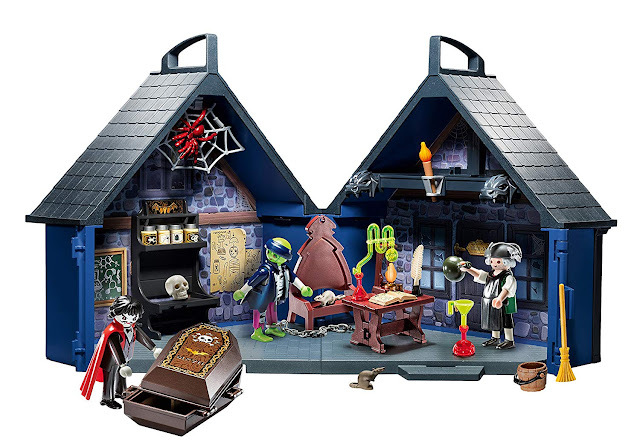 This skeleton sleeper is by Holiday Editions. Here's a cute "My First Halloween" costume. 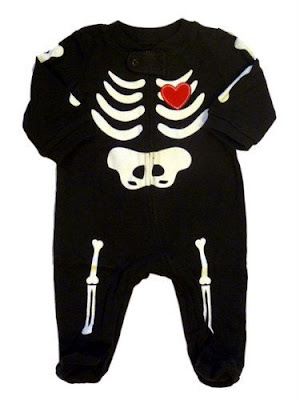 It's by Rubie's Costume Co.
For another variation, here's the Skeleton Ribcage romper for babies.